Chennai’s first Skate Park opens this weekend in Thoraipakkam, OMR and has an exciting X Games style event planned for their launch. 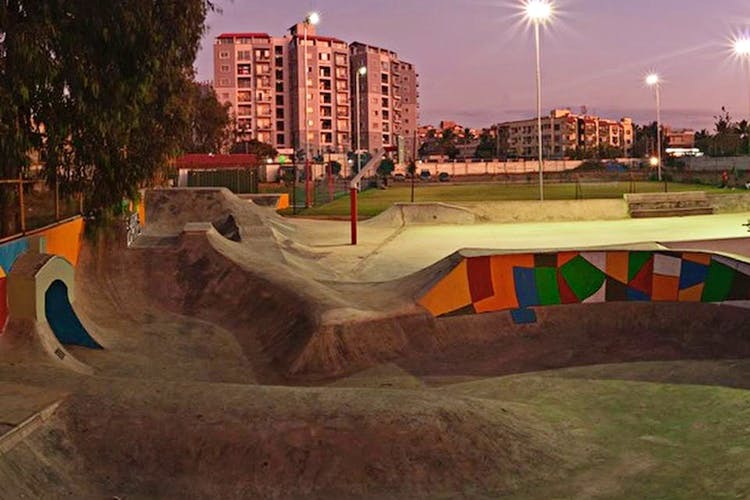 The Madras Wheelers Skate Park was built in association with the HolyStoked Collective, a group of passionate skateboarders our colleagues at LBB Bangalore have written about, here. The park has everything that you might have seen abroad or on a Tony Hawk game (rails to ramps), and for the launch there’s trick contests, team battles, a last man standing event and an ominously named, Death Race. To go with all the excitement, there’s a live DJ, food stalls and most importantly plenty of swag to buy (and earn if you’re a pro). Vans India and Decathlon will be presenting winners with vouchers and skate merchandise. The Skate Park plans to function as a space to rent and skate, but also as a skate and BMX coaching class, which we think is amazing because it’s the first of its kind in Chennai! So get on down to the Madras Wheelers Skate Park this Saturday afternoon to check it out. For more info, click here, and here to know more about HolyStoked.